As the internet gets easier to access in the 21st century, it is not surprising to hear that Australian professional services are being targeted by cybercriminals. Law firms and their clients are especially susceptible to cyber attacks and cybercrime. Lawyers have the responsibility to understand the threat of cybercriminals to law firms and their clients. Cybercriminals will use every possible method to obtain money or confidential information, such as hacking emails, websites and client databases. You may think that scams usually involve winning the lottery out of nowhere or getting contacted by someone in Nigeria. This is not the case anymore, as cybercriminals are getting smarter with their tactics to lure in victims. 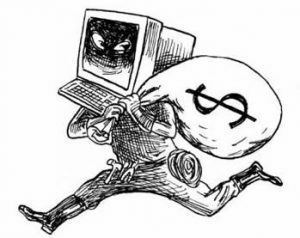 Nowadays, cybercriminals will usually take control of an email, pose as the lawyer or the client and give payment instructions such as sending the money to an offshore account. Lawyers must be vigilant when transferring money and sending instructions to clients via email. The Fidelity Fund does not cover losses of client money even if they were in a trust account. The Board will not compensate the client if a cybercriminal acted in a dishonest or fraudulent behaviour. The client can claim a payment against the lawyer, but it may not be covered by the lawyer’s insurer. If a lawyer discovers that their clients lost money in a scam, they may be subject to a complaint to the Commissioner. The Commissioner will then decide if the lawyer will be faced with disciplinary charges. Due to the rise of cybercriminals in today’s society, these charges were less likely five years ago. How to protect clients, lawyers and their reputation? It is essential that lawyers take measures to prevent cybercrime and not just rely on secure systems for their clients’ safety. Here is a checklist that you can tick off to reduce the risk of cyber attacks. o Ensure all employees are provided with regular training on cyber security. o Update your security software and operating system frequently. o Get advice from an IT expert regarding cyber security and any identified risks in your systems. o Use strong passwords in terms of length and uniqueness. Change them every year and use a password manager program if needed. o Backup all your files. If you are a victim of fraud or are accused of fraud in the form of cybercrime, you may need a fraud barrister or a fraud lawyer. Please do not hesitate to contact me. I specialise in fraud such as cybercrime and I am also a qualified fraud investigator as well as being a fraud barrister.